Effective QHSE Management Systems are the cornerstone of our business, and are part of the way we work. Our priorities are to continuously operate at the highest levels of Health and Safety, while at the same time, ensuring that we protect the Environment and exceed customer expectations. Our engineers utilise industry best practice in defining optimal Health, Safety and Environmental solutions for our customers. We believe that a successful business can only be based on effective QHSE Management Systems. Whessoe Engineering Limited is committed to the implementation of QHSE Management Systems as an integral part of its business operations. To meet or exceed customer expectations. To prevent injury and ill health by minimising the risk to health, safety and security of all personnel associated with our operations. To prevent pollution from our actions on the environment and the local community. We shall comply with all applicable legislation and other requirements to which we subscribe and strive to continually improve in everything we do. Measurable Objectives and Targets, consistent with this policy statement, shall be established and progress towards their achievement shall be regularly monitored. Management Systems shall be developed, implemented and maintained to meet the requirements of BS EN ISO 9001, BS EN ISO 14001 and OHSAS 18001. It shall be mandatory for all personnel employed by, or working under the direction of, Whessoe to comply with defined systems & procedures. 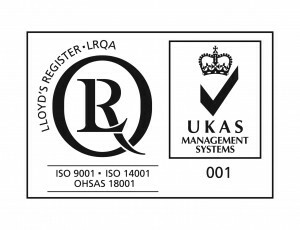 Our QHSE team strive to continually improve everything we do. We’re on LinkedIn - find us on your favourite networks to hear about our latest news using the links below. Whessoe Engineering Limited Enhances Engineering Documen..
Whessoe nominated for a “Best of Darlington 2015&#..
Samsung C&T and Whessoe Engineering Awarded US$460 m..